Dirt bikes are motorcycles designed for use on rough terrains, such as rural trails or off-road scrambling. They are known for having a small fuel tank for light riding and compactness. The engines are usually single-cylinder two or four-stroke units that can vary from 50cc to 650cc. Dirt bikes are ideal for off-roading and motocross mostly due to their long-travel suspension. This allows for its rider to take high speed jumps safely. 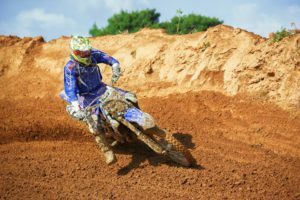 In motocross, the bikes are raced on short off-road tracks with tricky turns and high jumps. Motocross is a sport for those who love motorcycles and taking risks. And thankfully, there are many motocross tracks in Georgia. Why sell to Sell My Motorcycle? Sell My Motorcycle is one of the largest wholesalers in the United States motorbike industry. We offer the best value for your used bikes. We pay bike owners a fair price and will come to you to collect your bike. No matter where you are, we will come to you. There are several benefits of selling your motorcycle to us. We know the true value of your bike. So, you get a higher profit for your bike than if you sell to anyone else. Because of this, it is better to sell your bike to us rather than to Carmax or a motorbike dealer, and much easier too. We will buy your bike without hassle or stress on you. Our motorcycle experts know how busy you are, so we come to you! Whether it be your home or place of work, we will meet you at your convenience to collect the bike. And, you are paid quickly with cash. You do not have to finagle with a payment plan or have to worry about going to the bank to deposit a check. Our highest priority is to make selling your bike convenient for you. Are you ready to sell your motorcycle? Contact us today for your free quote and make your life a little easier.